Being short on funds can be stressful, and trying to figure out the different lending options can be a little confusing. There are many types of loans available, and it can be tough to determine the best choice for your financial needs. One easy and convenient option to consider is an installment loan. An installment loan is a short-term, fixed interest rate loan that is paid back in equal monthly payments over an agreed-upon time period. What are some reasons you may want to think about getting an installment loan? Get funds quickly and build credit with an installment loan. Building credit can be a catch-22. You need to have credit in order to have a good credit score. But it can be hard to be approved for credit if you don’t already have a decent score. A credit score is a numerical rating ranging from 300 to 850 that is given to you based on the information that is in your credit report. The higher the score, the better. When applying for financing such as a mortgage or a car loan, a lender will look at your credit score to see if you are credit worthy. If not, you could be subjected to higher interest rates. You could also be denied outright. Fifteen percent of your credit score is based on your credit history, and 35% is based on your payment history. If you have a limited credit history, your score could be negatively affected. An installment loan can help you improve your credit score by showing that you can borrow money, pay it back on time and can manage credit responsibly. To learn more about your credit score, read Credit Repair 101. Big revolving balances on multiple credit cards can be a big financial mess. You’ll keep on accruing interest on the unpaid balances and it could take years to pay everything off. Consolidating those high interest credit card balances into one installment loan gives you an opportunity to get back on track. It’s called debt consolidation and it can be a smart way to put the brakes on a revolving credit card debt cycle. You’ll have a fixed interest rate that is possibly lower than your credit cards, so you’ll save money. Your monthly payments will be in equivalent amounts which will make budgeting easier. Instead of several different credit card due dates to remember, you’ll have just one payment due date. Best of all, you’ll have an established end date for paying off the loan in its entirety. 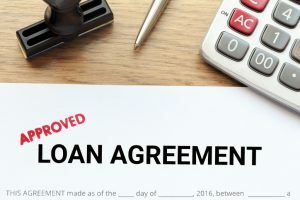 An installment loan can help you get out of a revolving debt cycle. Read this blog post to learn more about the benefits of debt consolidation. Omni Financial specializes in providing installment loans to military personnel. Our rates are competitive and repayment terms range from 6 to 36 months. If you are in a stressful financial situation, a military loan may be able to help. Learn more about our military loans or apply online, in person or over the phone today.